The email arrived from Veronica on Friday afternoon, at the end of the long and frustrating week. Got call from guidance counselor wanting to discuss Ryan’s course study with us. I just returned her call and left a VM informing her that we are going to be there on Monday. Now I get to worry all weekend. Do they want him in special ed self contained???? I read the email sitting at my desk at work. I’m pretty sure I let out an audible sigh. There is nothing wrong with self-contained instruction, of course, but Ryan has always been on a modified mainstream path. He gets pulled out for therapy, has an aide, and attends resource room in certain subjects. We want him in mainstream classrooms because we feel he can benefit from social role models, among other reasons. Self-contained would represent a step back. I looked to my right. The message light on my phone was lit. I needed to be sure I heard that correctly. 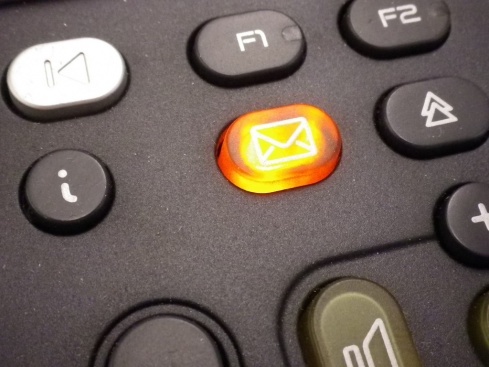 Did you know a lot of office voice mail systems will rewind the last few seconds of a message if you press “5”? Consider it a little tip from your buddy Neil. It can be very helpful to catch the number somebody left at the end of a message. Our TOP math program. There, that’s better. We recently received Ryan’s standardized test scores. He achieved a near-perfect score in math, which was actually slightly lower than the last time he was tested. He has always excelled at math. He could add and subtract four-digit numbers in his head when he was six or seven. He could easily calculate advanced concepts, like adding times — converting everything to factors of 60. To be honest, we we far more excited by his performance in language arts, where for the first time he scored proficient, with a total score that was even a little above average. The math score comes easily to him. He earned every point of that language arts score through hard work and perseverance. But still, this was a pleasant call to receive. I wasn’t sure why the same message hadn’t been conveyed to Veronica, but I needed to call her. I got her on the first try. I asked her exactly what the message had said. She answered something about wanting to inquire about switching his schedule and the impact it would have on him. There was no mention of advanced math. When she finished, I told her what the message on my phone had said. In fact, I conferenced her in to the voice mail system to hear it for herself. Her comedic delivery was perfect. It was like a giant exhale at the end of a trying week. They did not want to move our son to a self-contained classroom. They wanted to move him to an advanced class. In the end, we decided to keep him in his current math class. Moving him would have meant an entire new schedule, with different kids in each class and in some cases maybe even different teachers. As he is just settling in nicely to the school routine, everyone on the child study team agreed with us that this would not be a wise move. Still, we made sure Ryan knew what he had achieved, and how proud we were of him. He was very worried bout having to switch classes so we assured him that would not be happening. We spend so much time worrying about the things that Ryan can’t do or the things with which he struggles. It is so refreshingly awesome to hear about an area where he not only does well, but excels. That is indeed different. That is indeed better. That’s really cool! Is there a chance you could arrange Ryan’s schedule for next year to accommodate the advanced class ahead of time? I’m glad you guys won’t have to worry about this all weekend. Had he been placed in advanced math before the start of the school year, we would have encouraged it. As it is, it’s just too big a change in routine to contemplates at this time. The risks far outweigh the benefits. That is all kinds of wonderful! Way to go, Ryan!! Will they allow him to do some advanced work in his current class? These are definitely the calls I prefer to get from the school!! Hmm, he’s not really big on the concept of doing extra work for extra credit, but we always try to encourage him about math. I want him to be proud of his math abilities. Great! Like you, when I see the school’s telephone number on caller I.D. I cannot help but assume it will not be good news. It’s awful how we always assume the worst, isn’t it? Brilliant! I am so happy for him and for you guys. Couldn’t help but think of you guys! Someone forwarded that to me on Facebook, but I hadn’t read it yet. Thanks for sending.